Storytime = a librarian surrounded by small children as he/she reads a story. Oral storytelling = a storyteller surrounded by listeners as he/she tells a story. Who doesn’t love storytime? The answer would be very few. A fun story read to a group of young children who are usually seated on the floor, escaping into a different setting- sometimes realistic, sometimes not- is an experience that can develop and strengthen literacy, listening, comprehension, and communication skills. Sometimes the storyteller uses props or puppets. Sometimes the storyteller will wear a silly hat or dress in costume for the story. Sometimes the storyteller will ask for interaction from the crowd. Most of all, the storyteller is engaging with his audience by inviting his/her listeners to enter the story with him. While most library storytimes revolve around a published picture book, the original storytimes did not. These original storytimes are the centuries old activity of oral storytelling. Stories that were passed down through time, usually spread throughout a country or region, some eventually spreading throughout the entire world. Because the stories were not written down, the storyteller might change part of the story or add a character. These oral stories were usually told as a form of entertainment, to teach a moral lesson, or provide a historical account of a person or event. Many oral stories had repeated themes of bravery or death. Various ones used the ‘rule of three’, with three characters or a character having three chances. Oral stories could be told in rhyme, repetition, or as a song. In modern times when we think about oral storytelling we think of the tales we learned from the Grimm brothers and Aesop. Those oral stories were eventually written down so that they could be passed on to future generations. Many of the stories used in storytimes are similar to the original oral storytelling. Librarians choose stories to entertain, teach, or provide a bit of history. 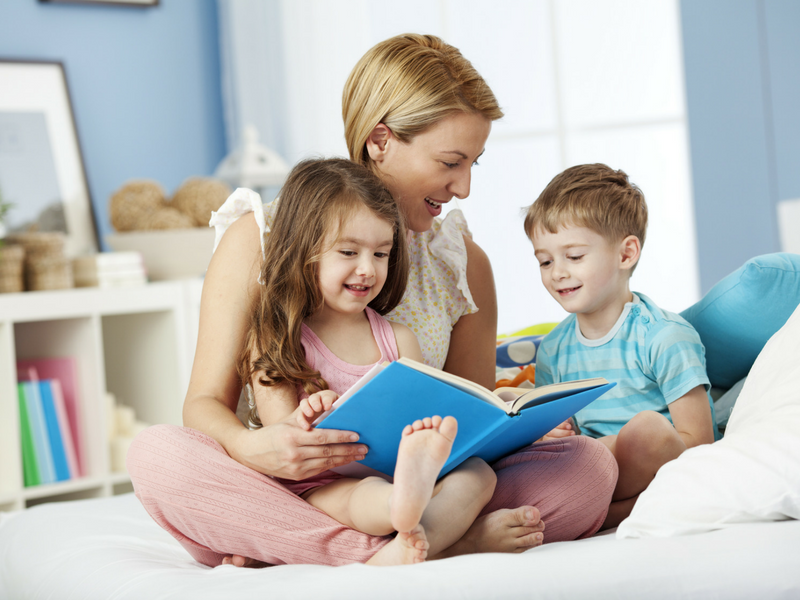 Most storytimes are also times to share nursery rhymes, songs, or fairy tales. It is believed that libraries began offering Storytime just before 1900, at the Pratt Institute Free Library (http://www.ala.org/tools/history-preschool-storytimes). Storytime continues to be a powerful program in most libraries today. With most libraries offering storytimes for ages 2 and up, we understand just how impactful storytime can be to our young audiences. Just as original storytelling captivated and engaged its listeners, so can your storytime. The tone of your voice, your gestures, and facial expressions all work together to keep little listeners interested, as I’m sure it did for those centuries old storytellers. Asking questions, having the audience share in repetitive lines, and pointing to book illustrations help your listeners engage with the story. Last, remember that you have the power to make even the most mundane story exciting. If your listeners see how excited you are about a story, they will want to share in your excitement.